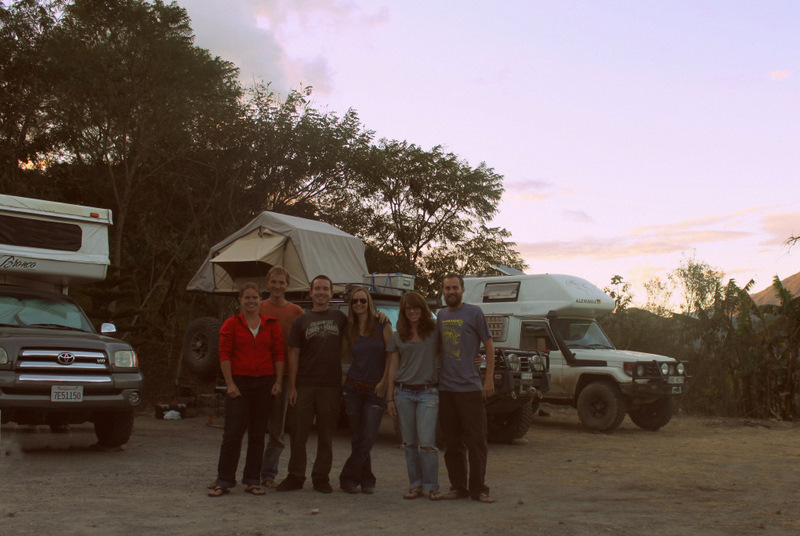 We pulled into Vilcabamba Ecuador, thrilled to find Malin and Espen of UNurban and George and Andrea of ToyoTours. Every year there are only a handful of people driving the PanAm. Eventually you start to feel a familial respect for your fellow overlanders. Swapping road stories over a bottle(s) of wine, reminiscing on border crossings, and sharing future routes is one of our favorite aspects of the journey. Although our class photo is missing a few outstanding students: SprinterLife, Dave & Ann, Adventurous Spirits, and super seniors Lost World Expeditions to name a few, we maintain an ongoing curriculum. These are our new peers, where peer pressure leads to travel extensions, remote border crossings, and yes, still indulging in Cuba Libres until the wee hours of overlander’s midnight. This entry was posted in Ecuador, Overland by Brianna & Logan. Bookmark the permalink.